Location: 2222 N 16th St, Phoenix, AZ 85006. Street Parking Available. Handicap Accessible. Hours: Saturdays and Sundays 11-4pm // Open 1st and 3rd Fridays 7-10pm. Coming in from out of town? We can open the shop most evenings during the week to give you the tour. Shoot us an email to schedule! Wasted Ink Zine Distro is a community event space run solely by a passionate zinester named Charissa Lucille and a great community. 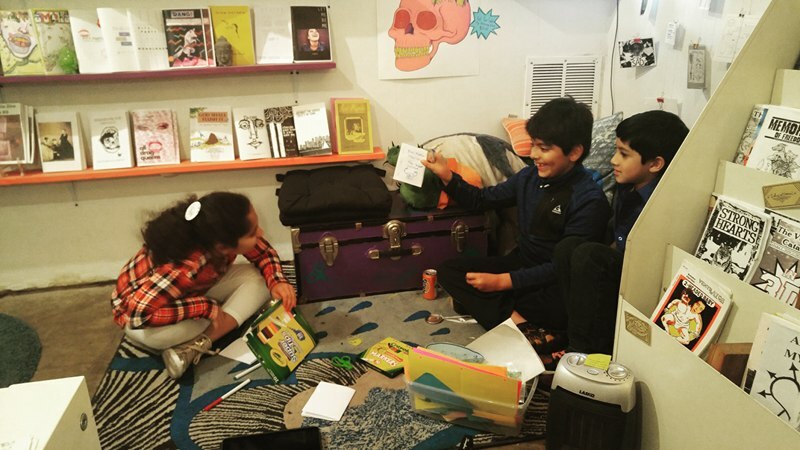 In addition to curating and maintaining this collection, we also host a number of literary events including zine making workshops, zine release parties and rotating art shows. Wasted Ink Zine Distro provides people with alternative forms of media with publications about a myriad of different topics ranging from, educational and woman’s studies, personal and political activism, music and punk history, photography, art and more. WIZD is constantly growing and expanding and receiving more material every week. The Hive is an artistic incubator space in Downtown Phoenix. 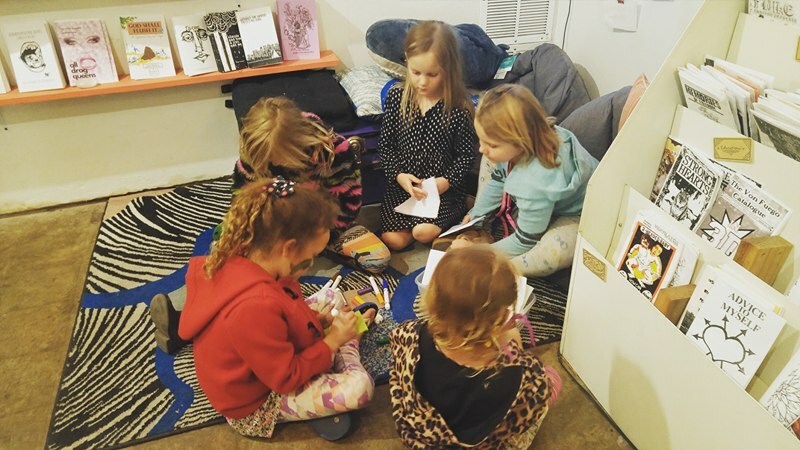 In addition to housing Wasted Ink Zine Distro, it also houses an art gallery, The Bee's Knees clothing store, Buzz Beans Coffee Shop, an Air BnB, a courtyard with a stage and a beautiful cactus garden out back. The Hive is a collection of arts, cultures, food, and micro business development that offers local artists a community hub. Come visit us and see this wonderful gem in Phoenix! Phoenix is spread out across a vast desert landscape connected by stacks of freeway systems, yet it's full of bold zine makers and artists. Zine Stack Podcast aims to amplify the voices we represent through Wasted Ink Zine Distro and the Phx Zine Fest. We will interview local Arizona zinesters, plug various events, and provide commentary on what we see and experience in our growing zine community. There's never a bad time to get involved. Reach us at wastedinkzinedistro@gmail.com.